Gov. 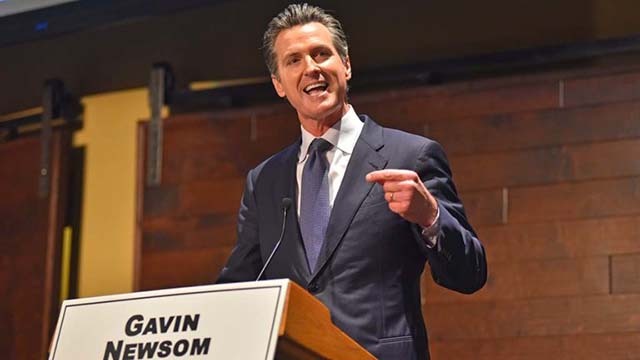 Gavin Newsom announced a partnership Thursday with the cities of San Diego, Chico, Fresno, Oakland, Sacramento and San Francisco to develop affordable housing on land owned by the state. Newsom signed an executive order shortly after taking office in January to begin the process of developing state-owned land into housing units and projects. The state’s Department of General Services submitted a report Thursday detailing the state’s inventory of land that could be used to partially fix the state’s dearth of affordable housing. Newsom’s administration plans to release at least three requests for proposals later this year to begin development on the pre-determined parcels of land with more RFPs on the way. The first RFP is scheduled to be released to developers by the end of September. San Diego Mayor Kevin Faulconer’s office did not respond to a request for comment. The city of San Diego has taken several recent measures to strengthen the affordable housing market and Faulconer has made it a point of pride, calling himself the city’s first “YIMBY” mayor. Last month, the City Council voted to remove minimum parking requirements for new housing developments, with city officials arguing that it will cut down on development costs, lead to lower prices and lessen the city’s vehicular carbon emissions. Faulconer has also floated the idea of eliminating building height requirements and authorizing unlimited housing density to produce more affordable housing and more housing for the city’s homeless residents. GIS officials identified several hundred state-owned properties throughout San Diego County that could eventually be redeveloped into affordable housing.